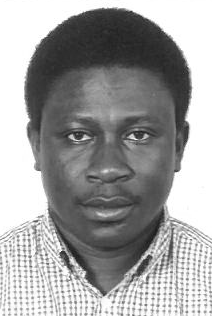 Daniel Opoku is a research fellow and a doctoral candidate at the Department of Health Care Management, Berlin University of Technology. He has been involved in several international collaborations, including working with the Robert Koch Institute in Berlin on the study on Sexual Health among Migrants from sub-Saharan Africa (MiSSA-Studie), the Berlin Working Group at the Charité Medical University on the EU-funded Research on Obesity and Diabetes among African Migrants (RODAM), and on the NUFFIC-funded project Capacity building in Community Health for the Prevention and Response to Disability in Ghana. He holds a MSc in Public Health from the Charité Medical University in Berlin and a BA in Sociology and Social Work from the Kwame Nkrumah University of Science and Technology, Ghana. He is currently working on his PhD research topic: mHealth for improved management of non-communicable diseases, and in the project “Capacity building in Health Systems Research and Management in Ghana”.